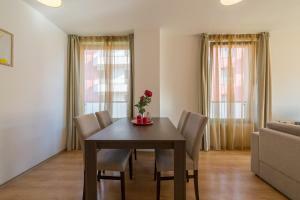 Great location, buses to city center stop close by. Supermarket across the street works non-stop, so you can buy whatever you need - whenever you need it. Very close to supermarket, malls. Was very comfortable and friendly. The bathroom and the room itself were very clean. The balcony was a great addition. Really comfortable bed. The hotle is located in a student district of the city. Little bit away from a center but it is not a problem cause buses and undeground trains are close. There is a very good shop Fantastiko just in front of the hotel so if you need some fruits or wine you can go and get in some minutes. Very friendly staff helping us throughout our stay. Overall cleanliness. Non-stop supermarket right in front of the apartment block. Close to the supermarket and bus station. Nice restaurants and cafes on the same street. View from the balcony - the mountains! Very kind host. It was very easy to get to the center both by bus and (very cheap) taxi. We even took taxi to the mountains. Quick & cheap. Lock in a great price for Academica Aparthotel – rated 8.8 by recent guests! 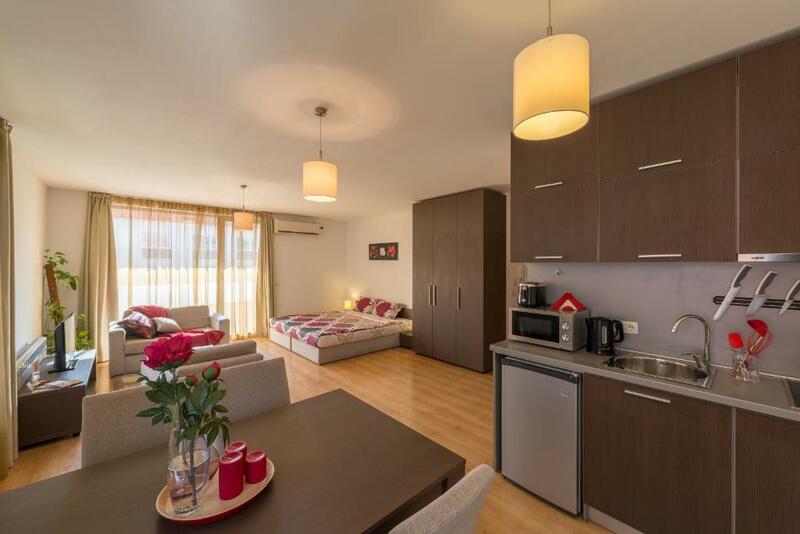 One of our top picks in Sofia.Academica Aparthotel is located in the southern part of Sofia, in the student area. They offer modern apartments and studios with free access to Wi-Fi and air-conditioning. Built in 2010, all accommodations have a cable flat-screen TV, a comfortable sofa, a kitchen and a dining area. The building is secured 24 hours a day and has a doorman. Academica Aparthotel is set in a quiet street, only a few steps away from the bus stop. 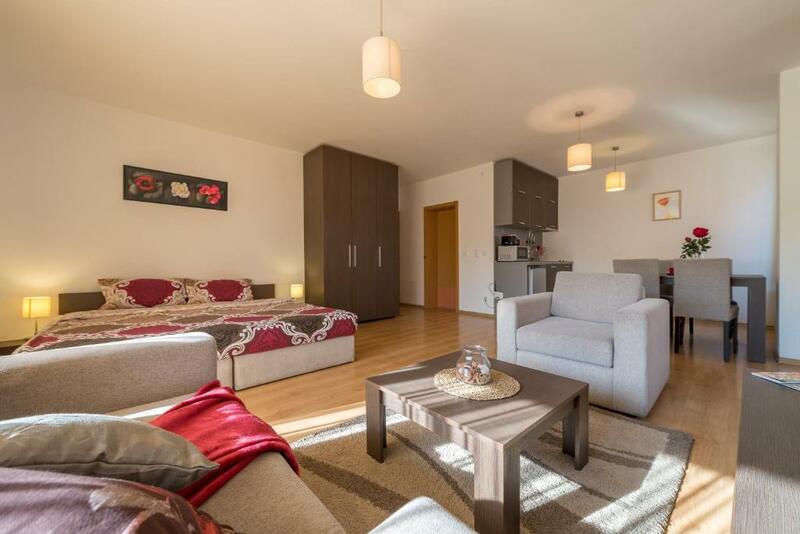 The center of Sofia and the airport are a 15-minute drive away. When would you like to stay at Academica Aparthotel? 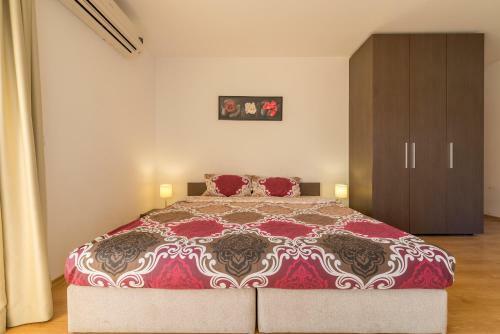 This spacious studio has a new bathroom with a shower and a toilet. The kitchen is equipped with basic necessities. A weekly cleaning and a change of bed linens are included in the room rate. 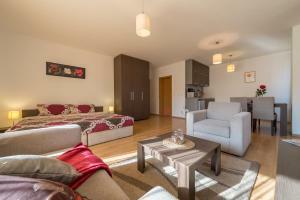 We offer beautiful and charming studio-apartments situated in the most attractive part of the Student's city in Sofia. 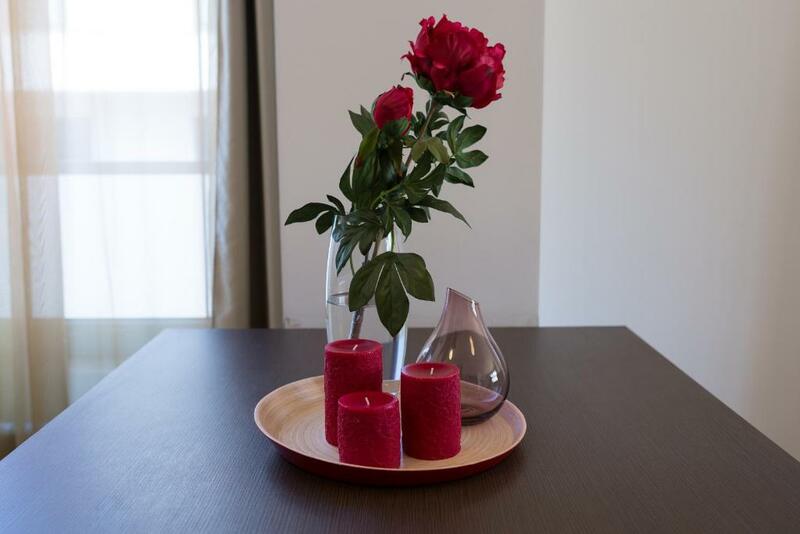 All our apartments are fully furnished up to elegant hotel standards. We offer accommodation for families, corporate/ business travellers and vacationers . We are a young, motivated, multilingual team, fully dedicated to our customers. 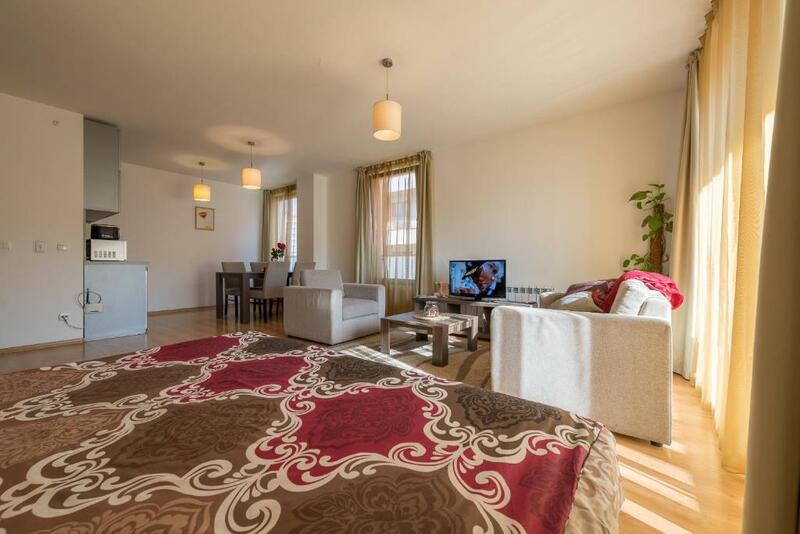 We offer: -	Free Wi - Fi -	Great location -	Multilingual 24 hour logistic support -	Clients are special guests to our apartments rather than anonymous hotel visitors. We manage our fleet of apartments ourselves, so we can accommodate any change in your plans and preferences - quickly and easily. Our apartments are maintained regularly by our maintenance crew, so you can rest assured in comfort and peace. We pride ourselves on doing our best to allow you to keep your personal lifestyle while escaping the uniform hotel room. Want to send a special request – add in the next step. The newly furnished and cozy studio apartments situated in the suburbs of Sofia, in one of the most famous part of the capital called "Student City". 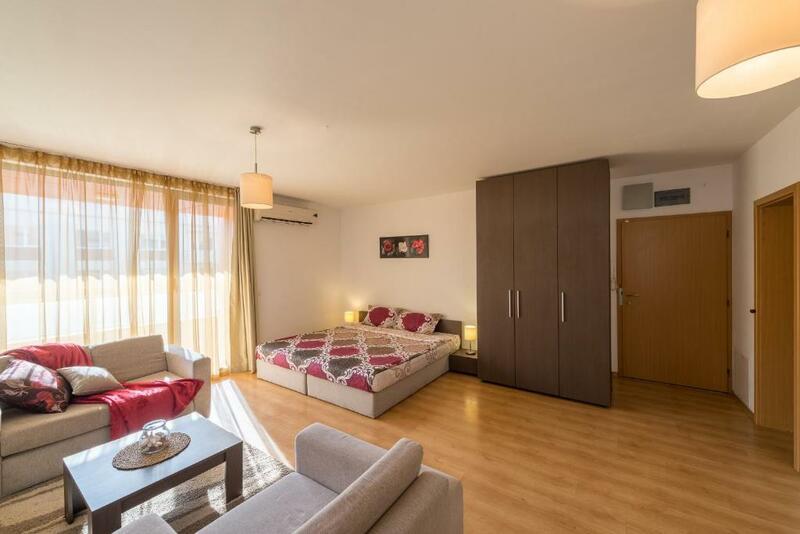 The apartments are on a very communicative place, with easy access to the city centre.There is convenient public transport with metro and buses ( number 94 or 280 ) to the city center. Located in the south-eastern part of the capital near Sofia Airport, one of the biggest Sport Halls " Hristo Botev", Winter Sports Palace.There are lot of cafes, restaurants, bars and discos nearby. 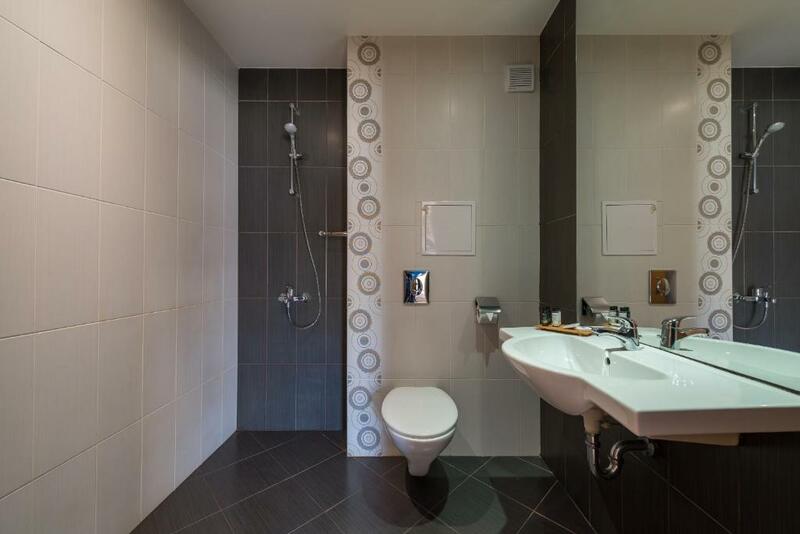 House Rules Academica Aparthotel takes special requests – add in the next step! Academica Aparthotel accepts these cards and reserves the right to temporarily hold an amount prior to arrival. Please note that this property has several locations. Guests are kindly requested to contact the guesthouse prior to their arrival for further details. Contact information can be found in the booking confirmation. The nose from the bars and drunks walking past the windows until 5am every day was terrible. The heat in the room, even without the radiator on was so high, you had to have the patio door open, so you got drunken nose all night. Do not go there unless you want disturbed sleep. Poor response to email on how to gain entry. Took two days to receive any reply. The Wi-Fi is pretty weak. As good as before. Would stay here again. Guest meeting could be more fluent. Taxi driver couldn't find a right entrance to a hotel so during dark time hotel should be better visible. Room was a bit noisy because it was orintated to a street. A bit more cleaning and better isolated windows would have been great. Close to Food super market and restaurants. Had to pay in cash when we moved in without any leniency. The bed and the pillows were not that comfortable. The sheets could have been better. Very noisy place, worn-out, the mattress was very uncomfortable (with popped springs). No one cleaned up the room through out of the stay. May be it is better for one night stay for fun. According to me it is Not suitable for vacation, relax and families.